The SteelSeries Rival 600 arrived in a soft packaged white bag. It was shipped via UPS Standard all the way from Miami, Florida, to us here in Calgary, Alberta. 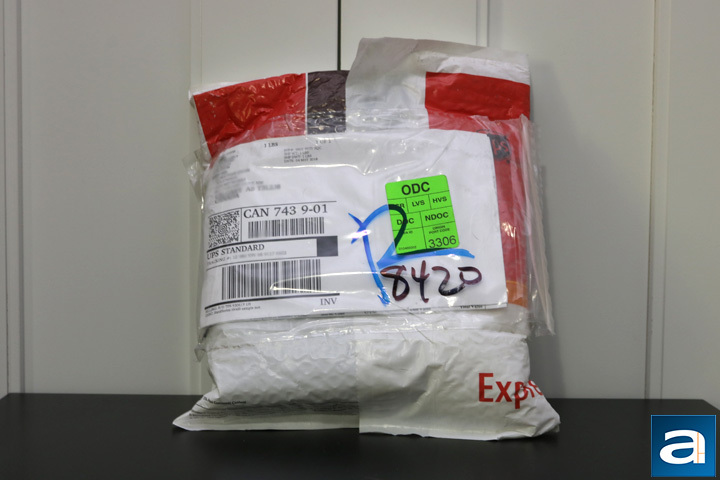 It is impossible to judge how many bumps or bruises were inflicted on the package, but there were no rips anywhere on it. I proceeded to open it; fairly confident that everything should be safe. As you can see in the above picture, the retail packaging of the SteelSeries Rival 600 arrived in good condition. The box looks nice and modern with a mix of colors. The enlarged picture of the mouse on the front effectively demonstrates the different features of the mouse such as RGB lighting and adjustable weights. Otherwise, some more features are listed in the bottom left and in the top right. SteelSeries boasts that this mouse has the world's best dual optical sensor, which is definitely an ambitious claim to be making. According to SteelSeries, the dual sensor ensures true one-to-one tracking. Otherwise, we find more clarity in the specifications on the side and back of the retail packaging. 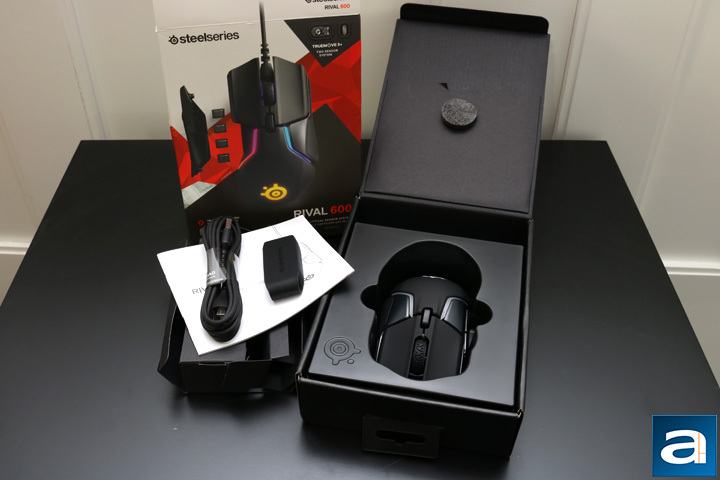 The retail box of the SteelSeries Rival 600 has a black box on the inside, which opens from below to reveal the SteelSeries Rival 600. A round soft foam circle keeps the mouse from moving up and down, while the plastic mold keeps the mouse from moving to the left or right. Below the soft foam pad is a small envelope-style container. Inside of it, we find a product information guide. There is a small cardboard box at the back end of the mouse containing the rest of the accessories. Inside, we find the cable and weights that can be added to the mouse. The container for the weights is made from rubber and opens up to reveal weights on both sides. 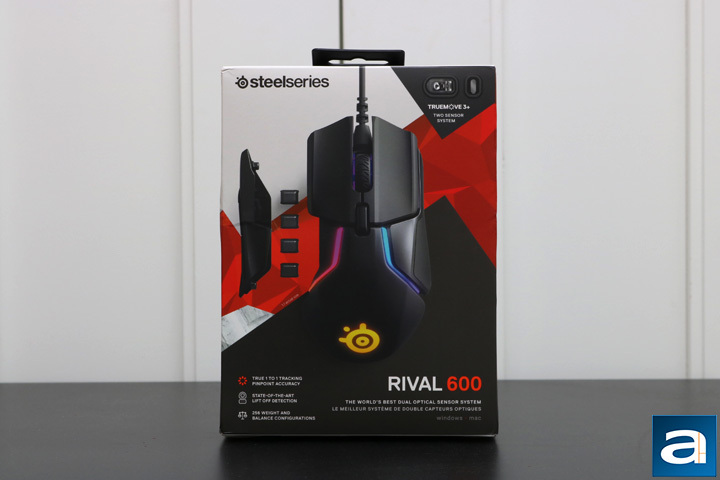 Overall, the packaging for the SteelSeries Rival 600 is good and will definitely keep the mouse safe from the store to your house. posted 5 hours and 47 minutes ago, with 12 posts. posted 5 hours and 47 minutes ago, with 9 posts. posted 5 hours and 48 minutes ago, with 3 posts. posted 5 hours and 51 minutes ago, with 4 posts. posted 5 hours and 51 minutes ago, with 11 posts. posted 5 hours and 52 minutes ago, with 56 posts. posted 5 hours and 52 minutes ago, with 11 posts.